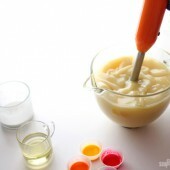 Today’s episode is a 4 pound cold process recipe scented with 10X Orange Essential Oil and Yuzu Fragrance Oil. It’s a bright, effervescent and citrusy combination. 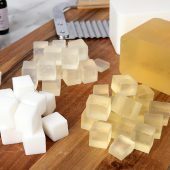 I’m also going to show you how to use the Vertical Soap Mold, which is a great way to add variety to your cold process recipes. I split the batch and added Calendula petals to one half and Fizzy Lemonade Colorant to the other half, giving it a natural and bright look. 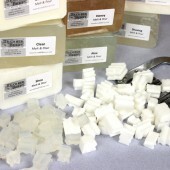 If you have never made cold process soap, stop right now and watch the first four videos on cold process soapmaking. 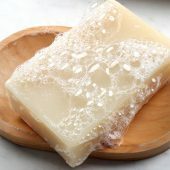 It’s important to learn how to safely use lye safely and get a couple of basic recipes under your belt before you dive into the vertical mold soap, which is an advanced technique. 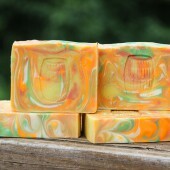 Learn to Make Sunshine Soap with Orange and Calendula from Soap Queen on Vimeo. 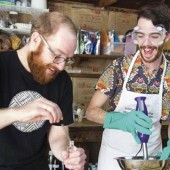 Get everything you need to make this soap here. 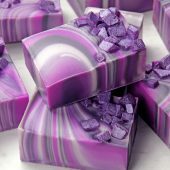 I am new to soap making and I am so excited to come across this forum. 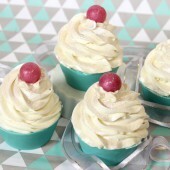 I have made few batches just for family use, now I want to try this recipe. I can’t find orange 10x essential oil here in the UK. Is it possible to use orange 5x then double the amount for it to last? 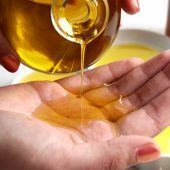 Can you suggest a good oil to use instead of the palm oil for this recipe? 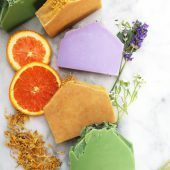 Palm Oil is great for contributing to the hardness of your bar, and while there is not a direct substitute for Palm Oil, there are many different oil combinations that can still lead to a firm bar of soap. Because there is not a direct replacement, and you will need to rework the recipe a little. 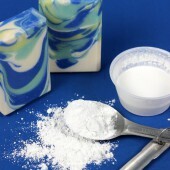 Despite having different oils, you could still use the same fragrances, colorants and techniques to result in a very similar bar of soap. One option that has worked well for us is using a recipe with a high percentage of Coconut Oil. 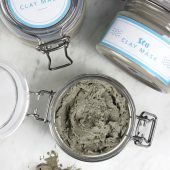 In this Palm Free blog post, we used only Coconut Oil and Rice Bran Oil. In this second recipe, we used only Coconut Oil and Olive Oil. I hope that gives you some ideas! 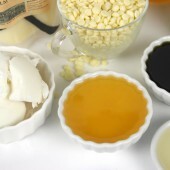 You may also find this blog post helpful, it gives lots of information regarding common soap making oils. 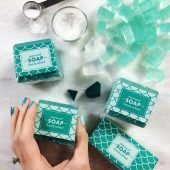 The easiest way to resize this soap recipe (and any others) is to enter it into the lye calculator and resize the batch amount. 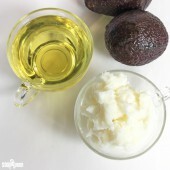 To do that, enter all the ingredients in to the lye calculator (https://www.brambleberry.com/Pages/Lye-Calculator.aspx) and select a superfat of 4% and click the submit button. Once you’ve clicked the submit button, it will direct you towards a page where you can resize your batch. Go to the Current Batch (total oil weight) section and stick in a lower oil weight. Keep experimenting with this until it gives you the final yield you are looking for. 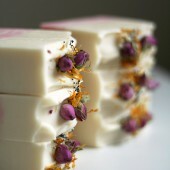 I’m curious about the calendula petals, do they make the bar exfoliating? 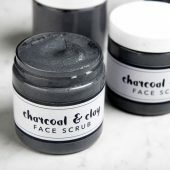 I haven’t used any exfoliants as I personally find many of them to be pretty abrasive. But this looks so pretty! 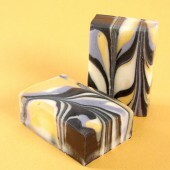 Can anyone provide info on the feel of a finished bar with calendula petals? Or what would a good usage rate be PPO for the look but not much abrasion? Will do! Thanks again so much! I am a bit confused with the measurements… When I add the ounces of oils I get 43.3 -> wouldn’t this be 2.74 lbs not 4? I was under the impression that a 4 pound batch of soap would be 4 x 16= 64? Ideas??? I just made this recipe this a.m. – and I’m not sure if it will turn out ok. It came to a trace very quickly within three minutes and thickened up to the point where I was scooping it out of the pot rather than pouring it out of the pot, (I had not added any colorant or fragrance at this point, so I can’t blame it on fragrance or color). 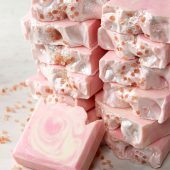 I am not new to soaping at all, and have never had a recipe come to trace so quickly. My oils were 119 degrees, the lye was 117 degrees. I’ve never used rice bran oil or shea butter before, so I don’t know if it’s those oils or something else. 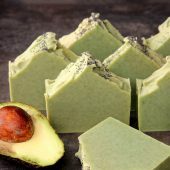 I used nettle leaf powder for coloring and BB’s green tea FO, Bergamot EO, and Lime EO; and the soap was already a thick pudding consistency when I added the color and fragrance. I made a 5 lb mold batch but ran the recipe though a soap calculator first to the conversions for the oils, water & lye. 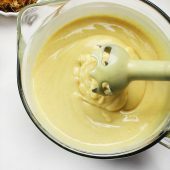 I use my stick blender in 30 second bursts with 30 second rests for the stick blender. The soap started tracing in 90 seconds. At first I thought it could be a false trace but it wasn’t. I really didn’t think my temperatures were that high at 117 & 119. This is the first time I’ve used rice bran oil, usually I use olive oil. It’s also the first time I’ve used a recipe that called for that much coconut oil and it was the first time I used Shea butter. Usually I prepare my lye water the night before, use it at room temperature and add it to my oils when they’re at 120 degrees, so maybe that was the issue. But in the past if I prepare my lye water the same time I’m melting the oils, I usually mix both together when they’re about 120 degrees. The soap seems to be fine actually now that it’s been unfolded and cut. I’ve just never had a batch trace so quickly and thicken so much. Some of the soap has air pockets (not really bubbles) because it was so thick going into the mold, as if it folded over on itself since it wasn’t a pourable consistency going into the mold. 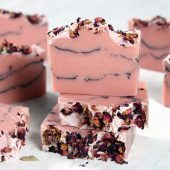 I am so happy to hear that the soap looks like it is doing okay — we definitely want you to be able to use this batch as long as it is not lye-heavy. 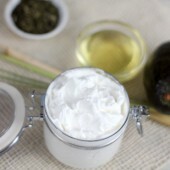 If you are used to using Olive Oil (which traces slowly), using another oil can be a bit of a change. I would definitely keep the temperature around 110 to see if that helps your soap from tracing to fast. I’d also suggest always keeping your oils and lye water within 10 degrees of each other (like you did). No, it was just the oils (castor, coconut, palm, rice bran, and shea butter) with the lye water. 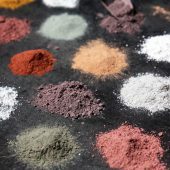 My only additives (which I added after trace – and they did not accelerate the already accelerated trace process) were the Green Tea FO, Bergamot EO, Lime EO and nettle leaf powder. 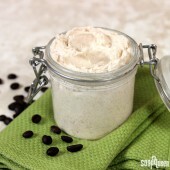 My reason for choosing this recipe was that I had some rice bran oil and shea butter that I wanted to try. While the soap is a bit green from the nettle leaf powder 🙂 it smells really good and several people who’ve sniffed it can’t wait for it to cure. I tried this recipe using the quantities supplied and it exceeded the capacity of the vertical mold. I hope it turns out ok. Lesson learned is that at very, very, very thin trace I should stop and add the fragrances and colorants. I had a whole lot of oil and lye mixture left over and just improvised and am oping for the best. This recipe should all fit in the mold and you might have a little left over for a small mold. Did you follow this recipe or increase any of the amounts? What would you recommend for a natural way to get the nice yellow on the one side? I would like to know how to making 2 pound of this recipe. Rice Bran Oil: 8.82 oz. Ounces of liquid recommended: 7.26 oz. Will this recipe turn out well if I substitute olive oil for the rice bran oil and walnut oil for the castor oil? 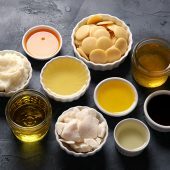 You can totally substitute the Olive Oil for the Rice Bran Oil and the Walnut Oil for the Castor Oil, but make sure you run the recipe through the lye calculator again so you can get the correct amounts to use in your soap recipe. You explain in this video that I need to use mineral or cyclomethica to grease the mild… making it easier to remove the soap. I there any product which I could use rather then these? As I do not have them. 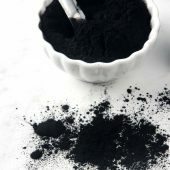 If you don’t have any Cyclomethicone handy, you should be able to purchase mineral oil at your local grocery store to ‘grease’ up the mold to make it easier to unmold. If you grocery store doesn’t have a natural health food store should. I hope this helps. P.S. 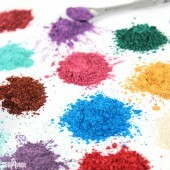 You can always purchase Cyclomethicone on Bramble Berry’s website. Do you think that I should add castor oil to this recipe and if I do what percentage? It still feels drying on my skin. Is it me or is the recipe inadequate? Please help. I finally worked up the courage to make cp soap. 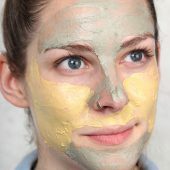 I was told that i have to use less water when using eo and more when using fo. 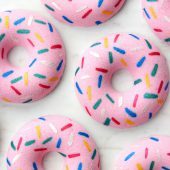 How do I know how much to use if I want to create my own recipe or how to I calculate my recipe? 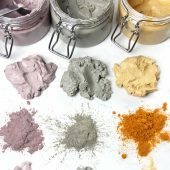 But, when you are formulating your own recipe, you decide what kinds of skin-loving oils and butters you would like in it, and run it through the lye calculator, which gives you the correct amount of water (or alternative liquid) you need to use as well as the amount of lye. 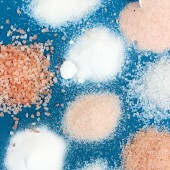 As for the fragrance and essential oils, you don’t need to use less water when you are using them. 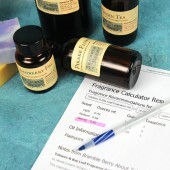 In fact, you can calculate how much fragrance or essential oil you are needing for your recipe with Bramble Berry’s Fragrance Calculator. Thank you so much and I am very excited. 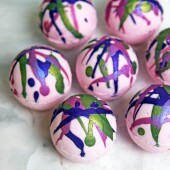 I’m doing this soap right now…except I’m using the Black Amber/Lavender blend and coloring purple and a darker yellow!! Can’t wait to see how it turns out!! I may have messed up my oil measurements, but I’m sure it’ll all be fine!! You can use a normal mold (with a cardboard divider) but to get this exact look a vertical mold is going to be your best bet! 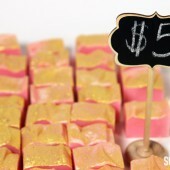 You can totally make the sunshine soap in another color if you don’t have the Fizzy Lemonade you can use the Yellow Oxide or even try out the Liquid Yellow. 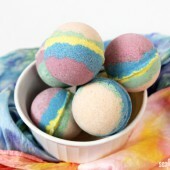 Either would work really well in this soap and give you a gorgeous color. 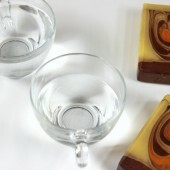 You can get the same two-layer look using the 9 bar birch mold and the guest-size soap dividers. 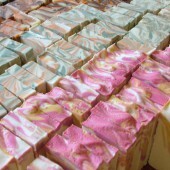 Just pour the soap in rows, alternating the layers. When finished, remove three of the five dividers. BTW, I forgot to mention which dividers to remove; the middle one and the two outer ones. 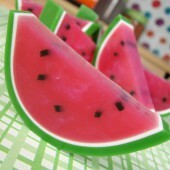 In fact, using the guest dividers allows you to remove different ones for different sized soaps. The mold and the dividers are the best ever. Thanks for the awesome tip! 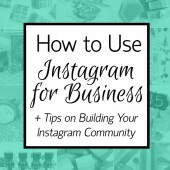 It’s good to know that you can do this project in several different ways! I am so loving this idea. 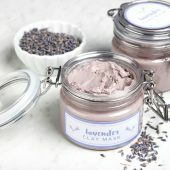 I can think of a variation with Peppermint, Lavender (not with the lavender buds but with maybe lavender jojoba beads), vanilla (vanilla seeds) Etc. Ideas are popping in my head. Gonna get that mold too! That would be lovely! If you do this, I’d love to see a picture of how it turns out (it sounds like a fabulous idea). 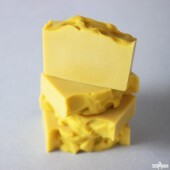 I just made my first CP soap today….fingers crossed that its comes out!!!!! 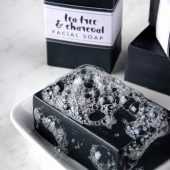 I want to try this soap, but need to get few things first. 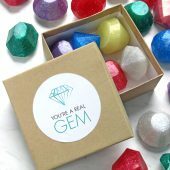 Thank you for you for web site and blogs, etc loads of info for a newbie!!! Congrats on your first CP soap Faith! I bet it is going to come out beautifully. 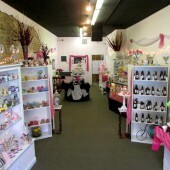 We’d love to see pictures of your very first CP soap, you can share them with us on our Facebook page! 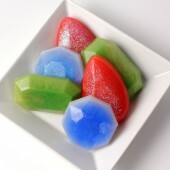 My 5 year olds give it a mixed review though: One said, “That soap is booootiful! Let’s make it!” The other said, “I don’ like that soap. Let’s make princess soap.” LOL! Love it! I need that mold!!! This recipe seems really drying to me at 40 percent coconut oil. I would have to superfat this at 10. I don’t have access to Yuzu Fragrance oil, so wanted to ask if there is an EO combination close/similar to its scent? Lemongrass or Litsea would be great alternatives that would last in CP soap. We actually just used a disposable ZIPLOC type container. We made a small loaf. Used yellow mica for the bottom layer and poured it, then spritzed with alcohol ad poured the top layer with the calendula in it. Used the same fragrance and essential oils. It is a little lighter on the bottom but I think it looks good! Hi – We don’t have everything for this, so we made a M&P imitation!! We used BB’s Like CP M&P. 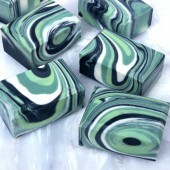 It is the best M&P soap!! 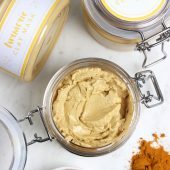 I have tried several other types from other SUppliers and they are horrible! Go with BB’s supplies! Did you use the vertical mold with your M&P? If so, how did it go? Did it leak at all? That sounds fabulous! If you have any pictures, you’ll have to share them with us on our Facebook page! Great recipe! 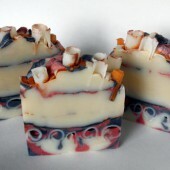 I make a similar one with calendula and orange oil on one side, and coffee/milk/cocoa on the other in that mold. Really nice! I also find some sodium lactate helps harden it up for easy removal. Great video, I too like vibrant scented soaps. 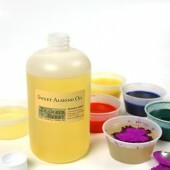 The highest ratio I’ve used per pound of oils is 10%. 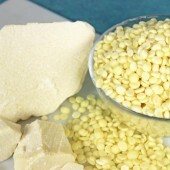 What is the highest amount you can use per pound? The video showed 2 oz for each half. Loved the tip of using a sponge to spread the cyclo on the mold. 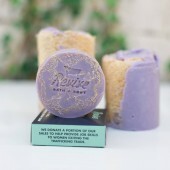 This soap will definitely be on my to do list. I love your little inspector at the end, he is a doll! 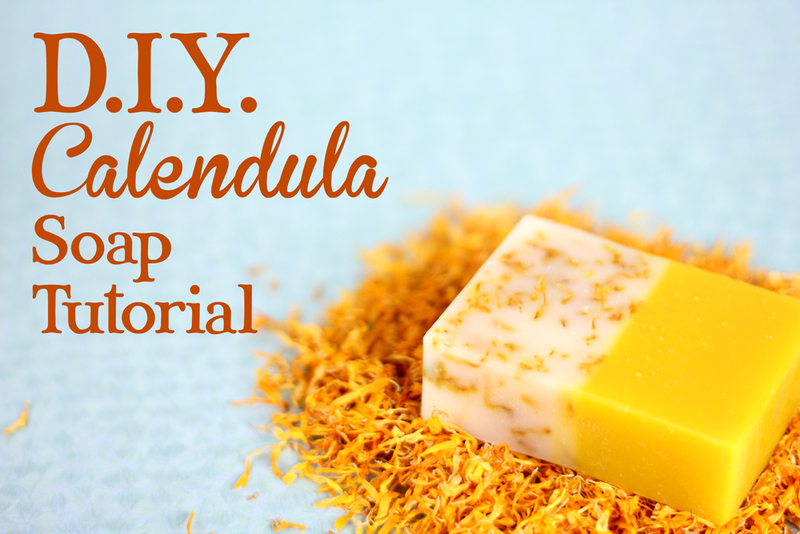 I’ve had trouble with calendula petals turning brown and ugly after a few weeks in CP soap recipes. Am I doing something wrong?? If I wanted to make a trip strength oil, how do I re-infuse the oil? I have been looking at youtube vids and some people use crockpots to infuse. Would I keep taking the oil I have infused and just keep adding more herbs and oil? 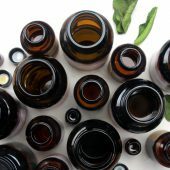 Would I use the previous herbs or would I use a new batch of herbs to re-enfuse? I would like to try this cute calendula/ Orange cold process recipe it looks super cute , but I would like to know what oil I can use instead of Rice Bran Oil and the amount of it because I could not find it in Barcelona. Thanks!!! You could substitute Olive Oil or Canola Oil for the Rice Bran Oil, but make sure you run it through the lye calculator again! You are in luck Donna, as soon as the soap cures, we will be selling it in our Etsy shop! I was just coming here to ask that! Thanks! 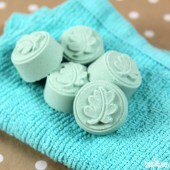 There was a time I tried making homemade soap, it was not easy! I’m in awe of your skills, and inspired. You are very creative. This is my favorite type of soap. 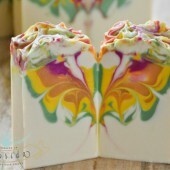 I love, love, love the look of calendula in soap. Love the video and I can almost smell the orange! 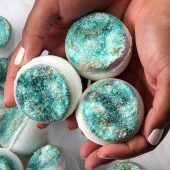 This actually gave me an idea on how to change one of my soaps to this look 🙂 Now, you mentioned that the soap has to stay in the mold for 3 days. Is that because of the high Rice Bran Oil content or because of the mold (vs. a slab mold or log mold – surface area type of thing)?